The premium cigar industry lawsuit is a joint effort between the Cigar Association of America (CAA), Cigar Rights of America (CRA), and International Premium Cigar and Pipe Retailers (IPCPR) against the FDA. The electronic cigarette industry motion was brought forward by Cyclops Vapor 2, LLC. A motion to intervene allows a person who is not a party to a particular case join the case in order to protect her own interests. The groups expressed concern that the Trump Administration may not adequately defend the rule (known as the “deeming rule”) or may seek to weaken or rescind it, putting the health of children and the public at risk. 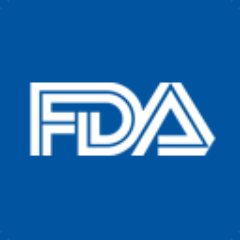 The organizations cite 90-day delays on the pending FDA compliance deadlines so that the Department of Health and Human Services could better understand the Deeming Regulations as an example. The organizations also cite the recent ruling by the Court in favor of the FDA on a summary judgment related to a case brought forward by Nicopure Labs LLC and various vaping associations. The groups cite this as a precedent for why the Deeming Rules should be upheld. In addition, the groups predict that if the Deeming Rules are not implemented, it will have a direct adverse effect on public health – particularly young people. Flavored cigars and e-liquids being marketed to children remain a concern. The groups also claim that high school boys smoke cigars at a slightly higher rate than cigarettes, but have offered no empirical data for that claim. While there has been a cautiously optimistic mood in the cigar industry, this past week has been somewhat rocky. Senator Marco Rubio is battling to try to get the premium cigar exemption into the Senate Appropriations Bill. The ruling on the court against Nicopure LLC may set some precedent that the courts do not have the authority to change the predicate date. Finally, while not completely unexpected, the motion filed by the six health organizations is a reminder that anti-tobacco factions are quite formidable.